Facebook has announced its Messenger bots can now accept payments natively, without redirecting users to external sites. 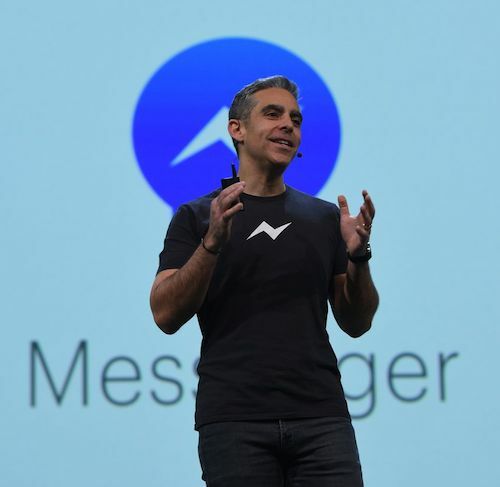 The announcement was made by David Marcus, head of Facebook Messenger, at the TechCrunch Disrupt conference in San Francisco, as he unveiled the launch of the Messenger platform v1.2. Furthermore, all types of news feed ads can point to the bots and users can share bots they enjoy with their friends, TechCrunch reports. Developers can build web views into conversations that’ll pull in interfaces from their sites. So instead of the bot interaction happening through text, a user can check flights, consume media and “even play basic games” while still in the chat window. The credit card information stored by users in Facebook or Messenger can be used to instantly make purchases in bots that are part of the new closed beta the developers can apply for, Marcus said. Facebook unveiled this initiative in April. Since then, 34,000 developers have joined the platform and built 30,000 bots. TechCrunch reports that Facebook is collaborating with “all the major players in the industry” on the project, including Stripe, PayPal, Braintree, Visa, MasterCard and American Express. The new version of Facebook Messenger will hopefully address the issues and help the platform to “live up to its promise”. Marcus admitted that it was somewhat undercooked at launch, as developers did not have enough time or resources to create bots that could match (and surpass) the experience of their web/mobile app counterparts. We did say there will be no quiet days. Coming straight after yesterday’s (29 November) action, we bring another payments round-up. Features Interac, nanopay, Remitr, ADGM, Nordea, Nets, Facebook and Amazon. A short and sweet round-up of the week's selected news stories in a video format.